Looking for a home at the beach? Well, hop to it! Probably the No. 1 question I hear from clients, both brand new customers and clients who have bought and sold multiple beach properties (and there are quite a few! ), is: “How’s the market?” I love answering this question because I really love talking about real estate. Also, responding to this question helps real estate agents like myself consider not only buyers’ interests and expectations, but how best to market our sellers’ homes. So, it’s win-win! The answer to “how’s the market” really depends on what you’re looking for: People buy and sell beach real estate to retire, downsize, move into a bigger home, get closer to the water, buy a primary home, second home/beach house, or purely to invest for rental income. The answer to this question at any given time depends on your specific real estate goals. Generally, the answer today is that the market is heating up like the weather. It may seem like beach Realtors make this claim like meteorologists to draw people to the beach (sunny all weekend), however homes that are priced well are in fact going quickly this spring, probably much like the D.C. market. As an example, in the past few weeks, we have had several properties go under contract within days of going on the market and have been involved in several multiple offer situations. In-town Lewes and Rehoboth Beach homes are in demand, as are pristine, move-in perfect homes. Spring and summer are great times to look since inventory tends to be highest this time of year. My team tracks statistics annually on Lewes home and lot sales, including the average ‘days on market.’ In 2018, this number shrunk by 50 percent – from 160 days in 2017 to 81 days in 2018. That trend continues so far this year. Given the recent ‘days on market’ for well-priced, well-located homes, I would recommend contacting a local real estate agent as soon as you see something you like online. “Do I need an agent if I’m looking at new construction?” I wish I would hear this question more often – because the answer is YES! And you have plenty of new communities to choose from if you are shopping for a brand new home. As a buyer, it costs you nothing to work with a Realtor but you get someone working for you – with your interests in mind – paid by the seller (or the builder, in the case of new construction). Many on-site sales representatives work exclusively for the builder, and are not required to be licensed Realtors. At least in our relatively small beach market, most agents have worked with these sales centers before and already have a rapport with these folks. “Should I call my own (out of town) bank or should I use a local lender?” Most real estate agents would prefer that you work with local lenders and other professionals that know the nuances of our coastal Delaware market. Of course, some lenders in D.C., Philadelphia, Baltimore, etc., may understand and have experience here, but if you have a relationship with someone you want to use for your Delaware home purchase, it is really important that he or she keeps close contact with your Delaware Realtor. Finding the home is often the ‘easy’ part. A lender who’s up to speed on things unique to our Delaware market (leased land, for example) will help you get to closing. Ask your agent for a few recommendations for mortgage lenders – they’ll be glad to help. “Where do I start?” If you are starting to dip your toes in the waters of beach real estate, you will naturally begin with an online search. 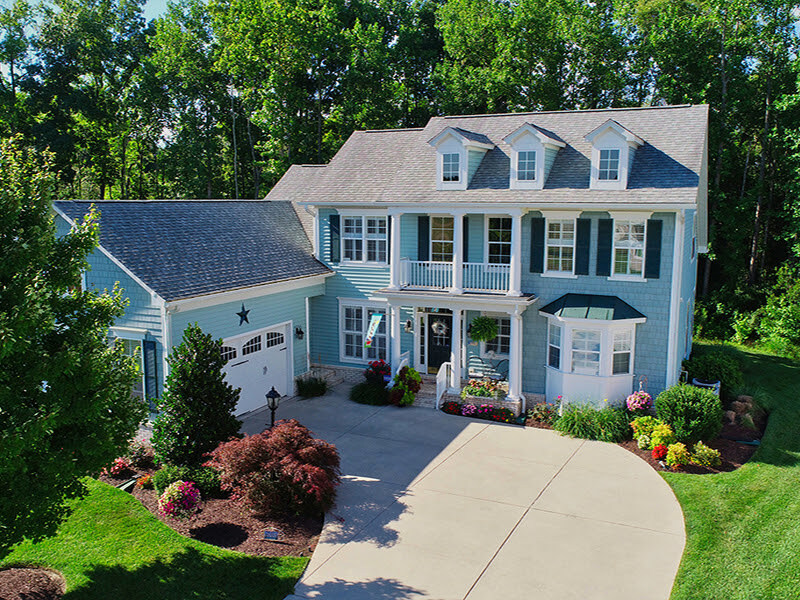 Last year, the Sussex County Association of Realtors switched to Bright MLS, which feeds to all of the local real estate company sites like ours (LeeAnnGroup.com), as well as to Zillow, realtor.com, etc., and casts a wide net of properties available in Delaware and into Maryland. Of course, searching online can give you a great overview of price ranges in different communities and towns, and virtual tours. By the time new buyers call or email us, they have often picked out a few specific homes to see. Technology is a great supplement to home buying, but we invite you to reach out to our local real estate agents. Especially in our fast-paced spring market, we know what is going under contract and we know about homes that are about to go on the market and can get you a first/early look. Our team’s focus and specialty, like many of our local colleagues, is to keep the “real” in real estate – and nothing takes the place of an actual conversation to understand what you are looking for and how we can help you get that home at the beach. Do you have plans this weekend? The beach is starting to bloom, so plan to come out and take a look! Open on Saturday, March 30, 12-2 p.m.
Open on Sunday, March 31, 12-2 p.m.
Open on Sunday, March 31, 1-3 p.m.
REALTOR.com recently shared a list of "The 10 Most Common Defects Found in Home Inspections" - and they are pretty much in line with what we see locally. Another item here at the beach that didn't make this list is checking on crawlspaces. We strongly recommend that our sellers consider getting a home inspection before listing, so they do not encounter any surprises that could delay or even prevent a successful sale. Rehoboth Beach - Always In Season! Make this fantastic, never-rented Rehoboth twin home your own now! Truly impeccable taste, classic style, and modern appointments are the backdrop for this spacious, low-maintenance home with 4 bedrooms, 3.5 baths, attached 2-car garage, and a terrific floor plan that includes a large, open living room with ultra-modern gas fireplace; separate formal dining room with refined decor; and a chic eat-in kitchen with well-placed center island, new stainless steel appliances, double wall ovens, tile back splash, and luxury granite countertops; new ceiling fans; second-floor balcony, elevator rough-in, and more. Relax on the screened porch overlooking the pond and venture al fresco to the large, custom brick patio. Complete with flatscreen TVs included! Enjoy easy access to Downtown Rehoboth Beach, great restaurants, pristine beaches, and beautiful nature of our Nation's Summer Capital. Look today, start beach life tomorrow! Beautiful waterfront home delivers direct water access, peaceful views, and tons of style. Priced below appraised value, this fantastic value delivers more than meets the eye, including 2 separate parcels: a home and waterfront lot! House parcel presents unobstructed panoramic views of scenic Wagamon's Pond. Completely remodeled with impeccable taste & decor, home features hardwood flooring throughout, light-filled gourmet kitchen with stainless steel appliances & granite counters, wood-burning fireplace, 1st floor master suite, two-zone Geothermal HVAC & more quality upgrades. Large detached 2-story garage and an above, huge unfinished room with electric can be finished as a great artist studio, in-law suite, or extra bedrooms! One of the very few homes in Milton with true waterfront access, too: Launch your kayak or cast your fishing rod steps from your door. Move-in ready, turn-key, and situated on a peaceful no-traffic street. Seller willing to leave most furnishings, too! Call us for a personal tour and embrace life on Lake Drive! There is truly no place like THIS home for the holidays! Come see it this weekend, before you stroll Milton for the annual Holiday House Tour! Just add the bow and make it your gift to you! This immaculate, turn-key, waterfront home on Wagamons Pond in the Town of Milton is more than move-in ready...come see for yourself! “Life starts all over again when it gets crisp in the fall." Welcome, fall! It truly is our “second season” at the beach. We hope you enjoy the still-sunny weather, amazing sunsets, festivals, and restaurant specials! While many of us love summer most of all, fall is a very close second. Historically, fall is also a very busy season in real estate – and this year is no exception. Last year was our ‘best year yet’ in terms of the number of sales (369! ), which was truly mind-boggling. So far, 2018 is shaping up to be on par/slightly more brisk than 2016, which was at that time our ‘best year yet.’ This year is more indicative of steady market growth based on 2016’s results, as 2017 was a (welcome) anomaly! To give you an idea of current trends shaping this year’s results, which of course represent results for sellers and buyers, we have sold 251 properties so far this year. 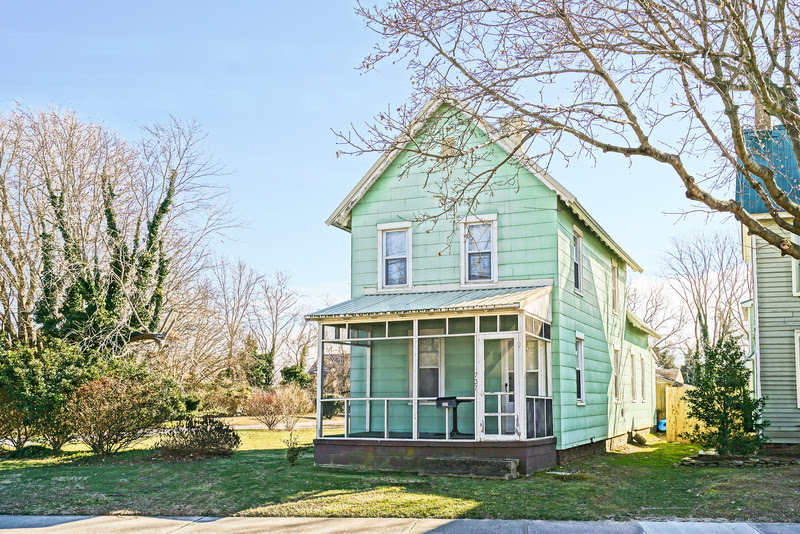 There is relatively low available inventory in downtown Lewes and on Lewes Beach, so well-priced properties sell quickly. We have also seen several multiple offer situations this summer and fall on desirable, in-town and Lewes Beach homes. Also competing in the market mix is a new construction/new community boom. If buyers cannot find a move-in ready home, they often look to new construction – and they do not have to look far. Admirals Chase - The Evergreene Companies has been approved for rezoning of a 7-acre parcel on Gills Neck Road to allow multi-family housing/24 duplexes in 12 buildings with a community pool and clubhouse. The parcel is next to Breakwater and borders Showfield at the rear. “The Brittingham Property” - A 30-acre field on New Road on the other side of Canary Creek is under consideration for annexation. A public hearing was held October 30 and the City seems to be favorably considering annexation. Fishers Cove – Proposed 18-home subdivision on 12 acres behind Rodney Avenue with lot sizes varying from 11,000 to 34,500 square feet (with most about one-third acre) as well as four open space areas totaling about 2.22 acres, including two wetland areas and one area fronting the Lewes-Rehoboth Canal available for use by community residents. Governors – Currently Schell’s fastest-selling neighborhood will have 423 total homes, including 287 single-family homes and 136 townhomes on 118 acres with 76 acres of open space. Sales to date: 55 single-family and 29 townhomes. Groome Church parcel on New Road – under consideration for 293 single-family lots on the 134 acres formerly owned by the Groome Church, however, there are historic/cultural considerations as well as DelDOT requirements still factoring into this plan. Kings Highway senior-living facility - Yet to be named this 3-story, 220-000 square foot facility will be built by Ocean Atlantic Companies and Vantage Point Retirement Services LLC and will offer 80 independent-living units, 63 assisted-living units, and 63 memory care units on a 9.34-acre parcel. 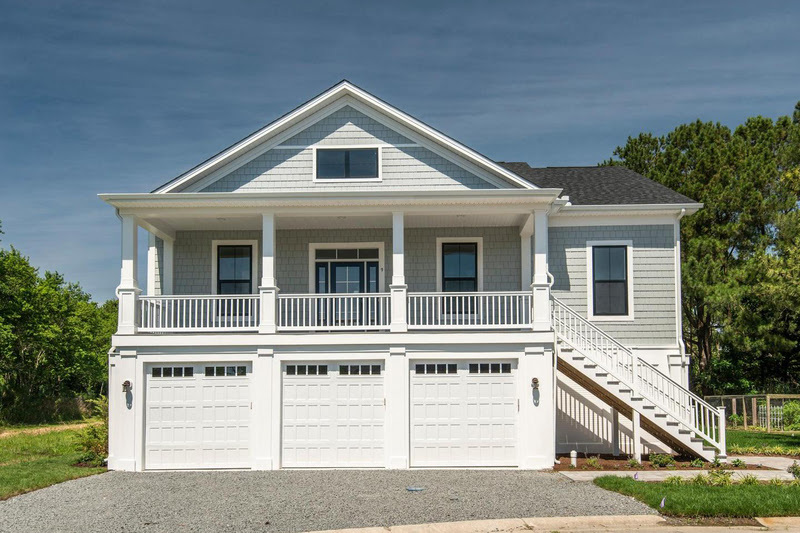 Mariners' Retreat - Custom single family home community located along 4th Street in downtown Lewes. The community offers 34 homesites. Site work is being completed and home construction should start in early 2019. Mitchell Farm - At the corner of Gills Neck Road and Kings Highway the developer plans 362 single family homes and medical buildings. The medical buildings would be in addition to one already approved by the County. Showfield II - The second phase of Showfield will have 129 single-family homes on 80.6 acres, divided into a west parcel of 86 units and an east parcel of 43, divided by wetlands and a different parcel. It is an expansion of the adjacent 166-lot development now under construction. Don't miss these opportunities to tour several amazing homes this weekend and make your beach life plans. Give us a call for buying, selling, and all that jazz! Open Saturday and Sunday,October 13 & 14, Noon - 2 p.m.
Open Saturday and Sunday, October 13 & 14, Noon - 2 p.m.
35553 Creekside Drive, Sawgrass at White Oak Creek - Open Sunday, October 14, Noon - 2 p.m.
120 Federal Street, Historic Milton - Open Sunday, October 14, Noon - 2 p.m.
Open Houses - Now and Later! Come for the summer, but stay for the fall! Don't miss these opportunities to tour several amazing homes over the next few weekends and make your beach life plans! Open Saturday and Sunday,October 6 & 7, Noon - 2 p.m.
Open Saturday and Sunday, October 6 & 7, Noon - 2 p.m.
35553 Creekside Drive, Sawgrass at White Oak Creek - Open Sundays October 7 and 14, Noon - 2 p.m.
Make Labor Day the Beginning! Labor Day is usually considered a bookend to summer, but it doesn’t have to be. (For the record, summer technically lasts through Friday, September 21!) Plus, fall really is a great time of year to explore your options for living at ‘the beach’ – which is a broad umbrella term for living where you can easily enjoy access to the perks of beach life. Summer rentals can sometimes make showings challenging to see investment homes and condos for sale, so fall is a bit more flexible all around. Locals generally do not want to give away our secrets, but I will tell you that fall is absolutely the best time of year at the beach for so many reasons. Restaurants offer specials and the weather is still great. Whether you want to sell it all and move from the city to the beach year-round, or if you want to explore a second home for your own getaway or to use as an investment property, there is overwhelming opportunity to do so. And with Maryland’s recent expansion of Route 404 from two lanes to a four-lane divided highway from US 50 to the Denton Bypass, your “road not taken” for fear of traffic just opened up to you! While traditionally Route 50 led you to Rehoboth Beach as the main destination in “Our Nation’s Summer Capital,” we now actually cast a wide net to include Dewey, the Indian River Inlet area and Bethany to the south, and increasingly Lewes and Milton to the north. Rehoboth Beach has the envious draw of the Atlantic Ocean, boardwalk, beautiful beaches, shopping, dining, and nightlife. But these amenities are accessible from several different communities. When you are searching online for “Rehoboth Beach,” consider broadening your search to include Lewes and Milton. 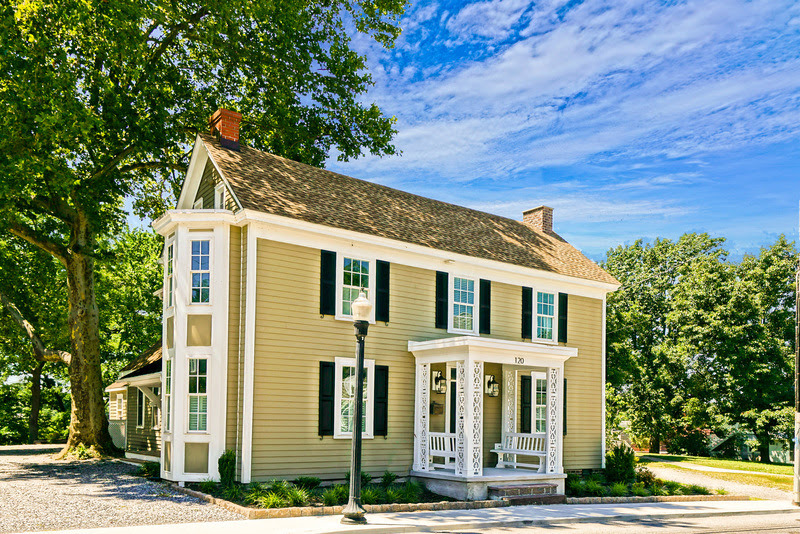 Both historic towns, Lewes and Milton have been around – well, since the beginning of Delaware! – and have hosted generations of beach lovers. Increasingly, both towns are expanding culinary and shopping options to rival Rehoboth’s great restaurants. At least so far, home prices in these areas have not caught up to Rehoboth Beach. Simply put, you can get more for your money while still enjoying the array of beautiful natural destinations like Cape Henlopen State Park, where the Delaware Bay meets the Atlantic Ocean and which is now connected to Gordon’s Pond in Rehoboth Beach via a five-mile scenic bike trail; Prime Hook National Wildlife Refuge in Milton; Lewes Beach on the Delaware Bay; the scenic Lewes-Rehoboth Canal and Broadkill River. The season is unbelievably long here for biking, hiking, kayaking, paddle boarding, bird watching, surfing, crabbing, fishing, and basking in the serenity of beach life. The appeal of Coastal Delaware is undeniable – but what about the prices? I’ll leave DC real estate to the DC experts, but it is fair to say that house for house, living at the beach is less expensive, especially when you factor in our low property taxes, and investing here is definitely something to consider with your financial adviser. Our clients are a mix of retirees who are moving here full-time or selling a current house here for another (either smaller or closer to downtown); second home buyers who plan to retire here in the future; and increasingly families and couples who look at newer construction neighborhoods in and around Lewes, Milton, and Rehoboth. 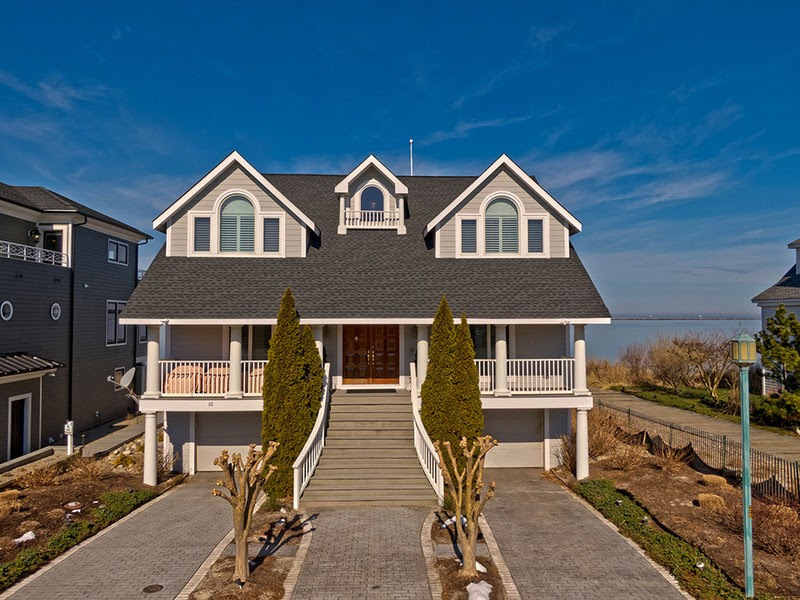 As a point of comparison, beachfront property in Rehoboth Beach, depending on the home, is typically in the $4M+ range. 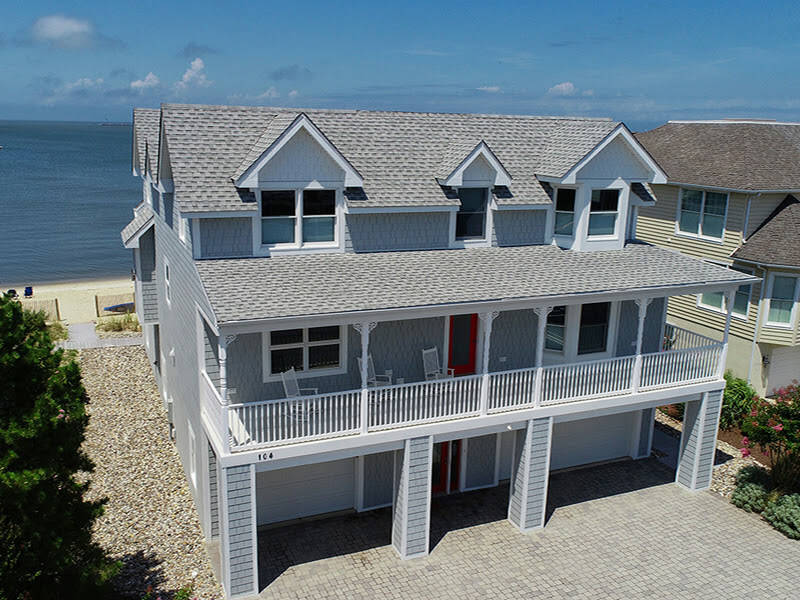 We listed an unprecedentedly priced home in Lewes this year for $4.5M; however, we also have beachfront homes in the $2.5M range and one block off the beach can go for $1.5M and less. Lewes is home to several new construction communities which will offer homes in the $500-600Ks. And Milton, just a few miles north, features communities from the high $200Ks to $400Ks. Medical facilities and specialties continue to expand here to include a cardiovascular specialty at Beebe Medical Center and a brand new hospital north of Milton in Milford. Our school district is booming and has updated the high school, is replacing the outdated elementary schools and has added an additional one, and is adding a new middle school. The longtime question of “will I be able to live year round at the beach?” can be answered with a resounding “yes,” and you can even still enjoy an often solitary walk on Lewes Beach in the morning. Labor Day doesn’t have to be the end of summer! Visiting or Looking for a Local Move? Join us to tour THREE unique properties this weekend - one on Saturday; two on Sunday! 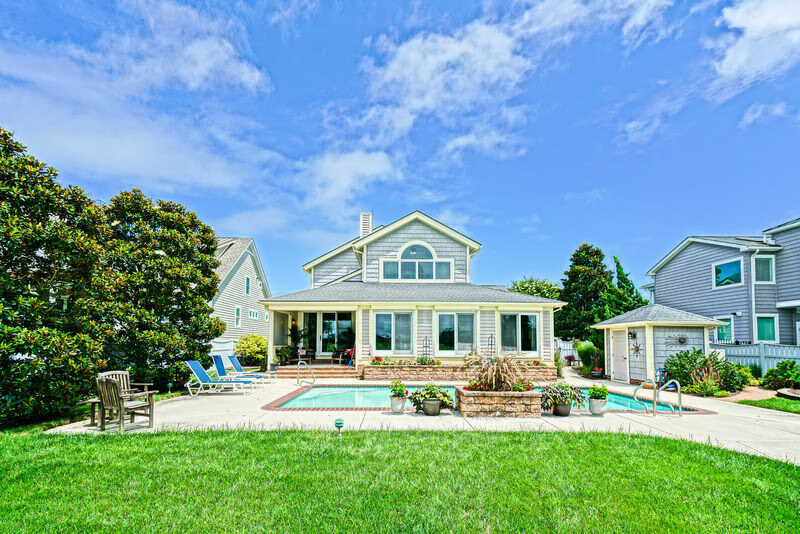 Open Saturday, August 18, 12 - 2 p.m.
Open Sunday, August 19, Noon - 4 p.m.
Open Sunday, August 19, Noon - 2 p.m.
We hope you enjoy the weekend and join us at one - or all - of these great homes to see what Coastal Delaware has to offer! Tour Sawgrass at White Oak Creek! The welcome mats are out! Join us in beautiful, centrally located Sawgrass at White Oak Creek in Rehoboth Beach to tour two different, fabulous opportunities to live a coastal lifestyle! Saturday, May 26, 1 p.m. - 3 p.m.